Selling Fall 2017! Stage 1075, a new condo low-rise community in the Mid-Market District, is one of several developments to offer residences for purchase in this burgeoning part of San Francisco. Located at 1075 Market Street, this modern residential development is between the Civic Center and Downtown areas along Market Street. In this general area, several tech companies, including Twitter, Dolby and Uber, occupy offices and buildings making Mid-Market the new tech hub of San Francisco. 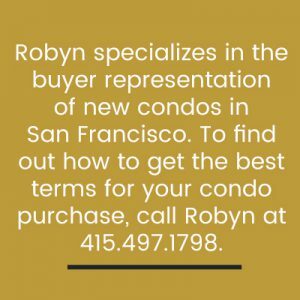 Stage 1075 is easily accessible to several cafes, bars and restaurants along Market Street and San Francisco. Bart and Muni underground lines run right outside Stage 1075 – get anywhere around San Francisco quickly. Stage 1075 is also an easy commute to the Financial District, the Transbay District and Downtown via the bike lanes or the F-line streetcar along Market Street. Stage 1075 has 8 floors, with 13 homes on each floor. 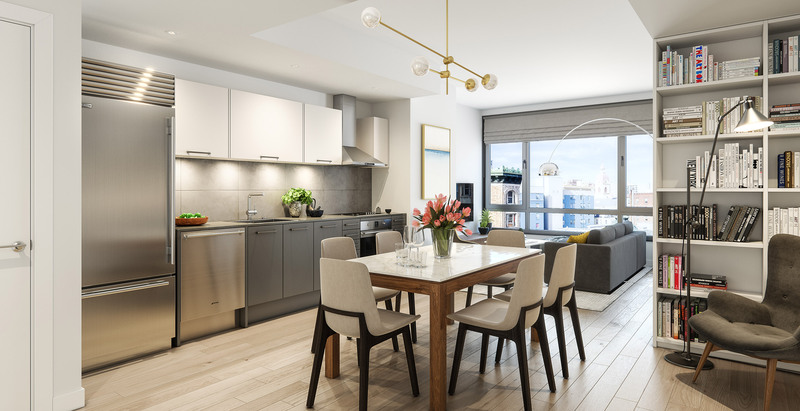 Designer finishes have been carefully selected for the condo units such as hardwood floors, European cabinetry, stainless steel fixtures and quartz counters. South and north views of the city can be seen from the top floors of this development, which condos facing north toward Market Street and south toward Stevenson Alley. The new Mid-Market District has gone through an extensive revitalization period, honoring its history as a Theatre Arts District. Several large theatres occupied Market Street since the early 1900’s – in fact, Stage 1075 has been built on an original theatre site. The original stained glass from the theatre has been incorporated as a main design element in the new residential development. The Strand is one example of a theatre renovation project in the Mid-Market district and it is one of the several theatres in the neighborhood. Several eateries and marketplaces are also within walking distance from Stage 1075 and even more options will be available as this new neighborhood develops. 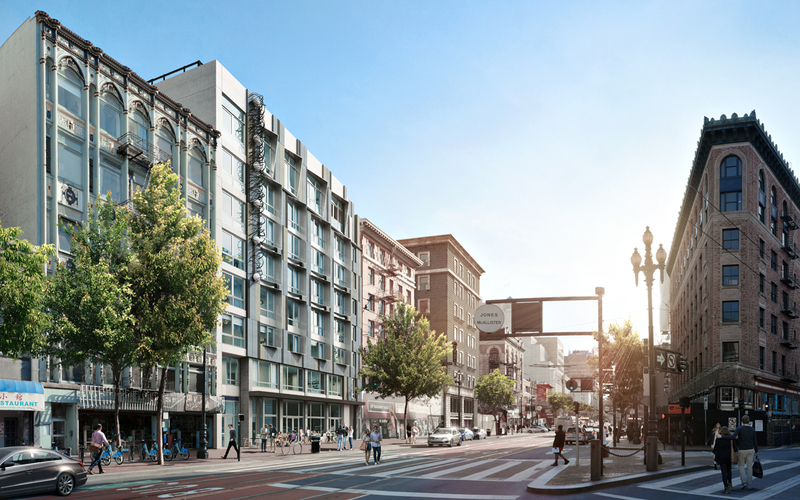 Convenience is key in this part of Market Street – live in the heart of San Francisco!